LA Lakers star Kobe Bryant has recently opened up about the impact the incident Lamar Odom, his good friend, has been going through. Not only were they great friends on the court, but off the court as well. 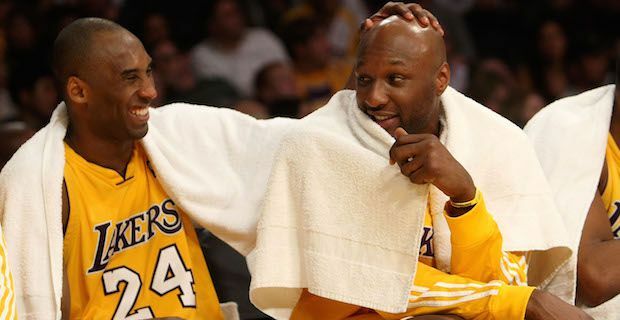 Bryant was teammates with Lamar Odom from 2004-2011 during which they went on to be in 3 NBA Championships together, winning 2 of them. While Odom has finished playing professionally in 2011, 37-year-old Bryant is beginning his 20th season in professional basketball. On October 13, 2015 Kobe Bryant was playing a preseason Lakers game at the MGM Grand Garden Arena in Las Vegas. During the match, he found out that Odom had been found unconscious in the Lover Ranch brothel in Crystal, Nevada, not too far from Bryant who rushed over as soon as he found out. 35-year old Odom was said to have overdosed on drugs and suffered ‘several mini strokes’ while unconscious according to ESPN. He now may need a kidney transplant and much time to heal the severe lung and brain damage that was done. He was first sent to Sunrise Hospital where Bryant first visited him, but has since been airlifted to Cedars-Sinai in LA.